No yams (definitely not with with marshmallows). Likely no cranberry sauce, either. Lobsters, though! This first celebration probably took place several weeks earlier in the year than it does today; the exact date is unknown but some estimates place it in late September or early October. Actually, the first feast in 1621 wasn’t really one of giving thanks, but rather a normal harvest holiday; it wasn’t until 1623 that the moral tone of Thanksgiving began to take shape. Additionally, some staples had yet to arrive from wherever they were originally found: potatoes from South America, sweet potatoes from the Caribbean, white flour from all over the Old World. Birds of some sort. 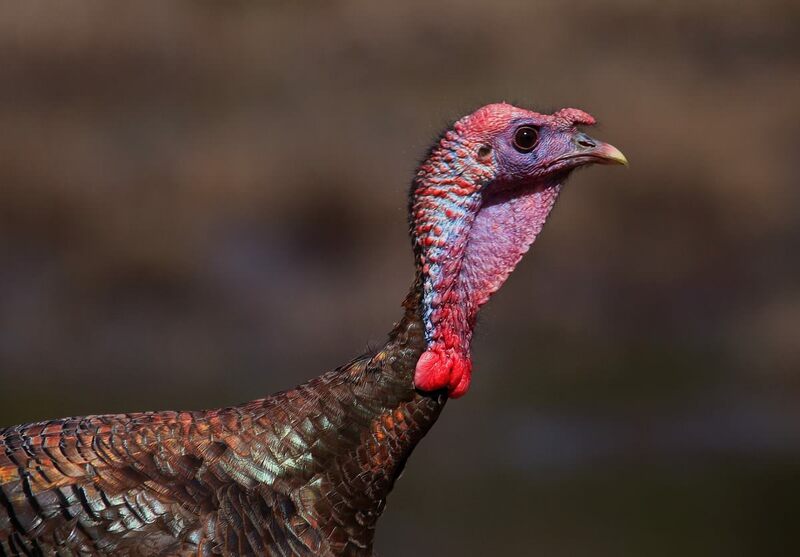 The wild turkey, both then and now, was commonly eaten in New England, but dispatches from Pilgrims indicate that it probably wasn’t the only, or even the primary, bird to be eaten at the first Thanksgiving. Today’s Plimouth Plantation organization suggests that ducks, geese, swans, and small birds like the now extinct passenger pigeon were probably served that evening. 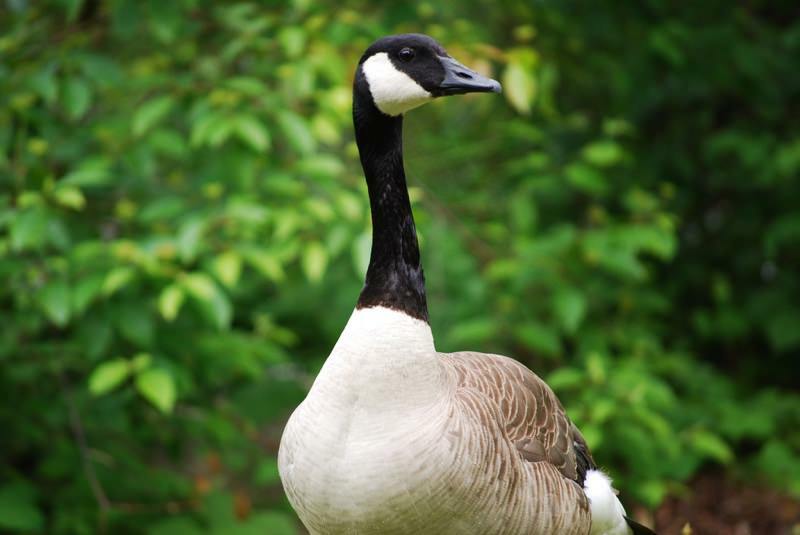 These birds can be trickier to cook than turkey, but Bon Appetit has some nice goose recipes if you’re interested in recreation. 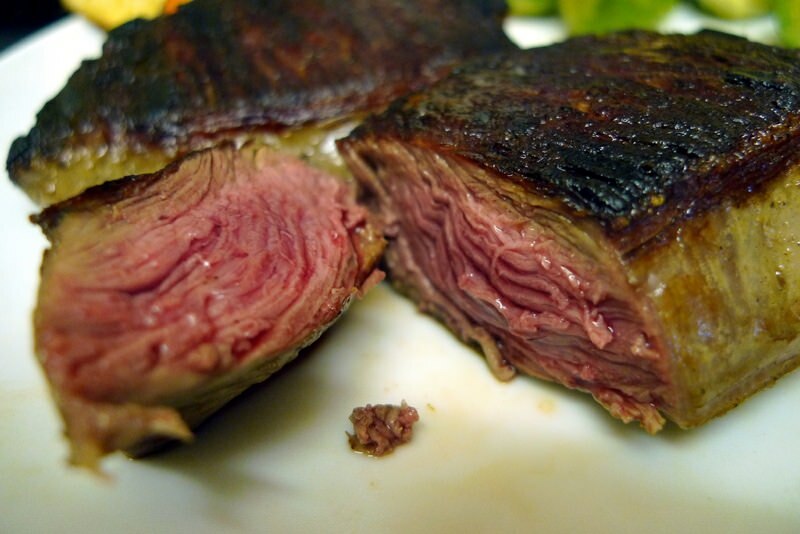 Meat. Today it’s unusual to find any red meat on a Thanksgiving menu, but William Bradford, the governor of the Plymouth colony, wrote that deer (or venison) was a centerpiece of that 1621 meal. Fish and shellfish. 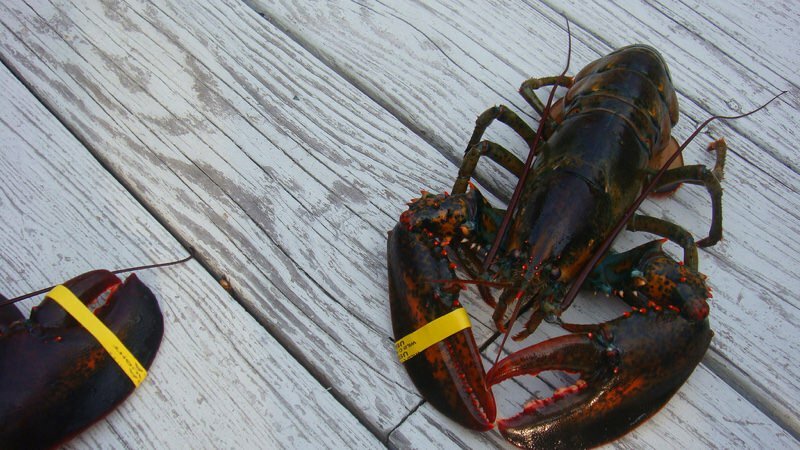 Any oceanic representation is basically unheard of at Thanksgiving today, but it seems likely that lobsters, mussels, oysters, clams, and fish like striped bass and eels made up a huge part of the early diet of the Pilgrims. Corn. 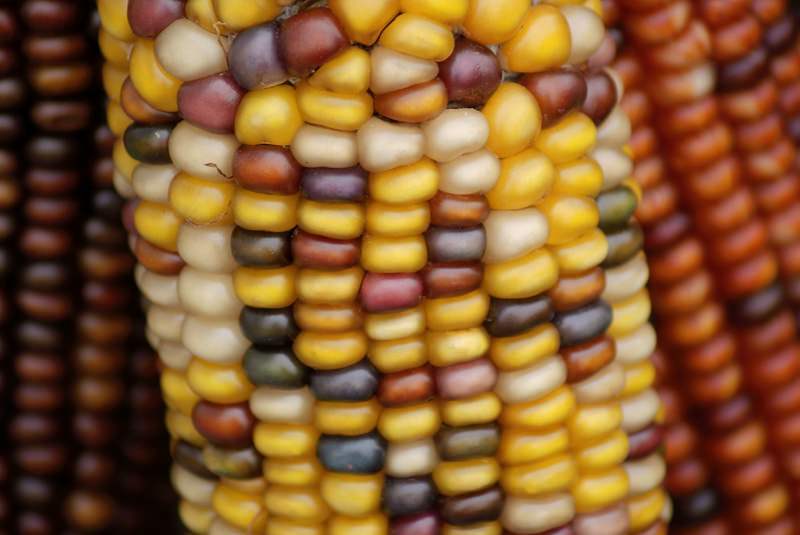 Modern sweet corn has little in common with the corn of the seventeenth century, which was likely multicolored flint corn (sometimes known as Indian corn today). Flint corn is most similar to the modern popcorn: an exceedingly hard, minimally starchy variety. Common preparations at the time, as attested to by Bradford, was typically hand-ground and then stewed to make a porridge. Winter squash. Pumpkin! Yes. 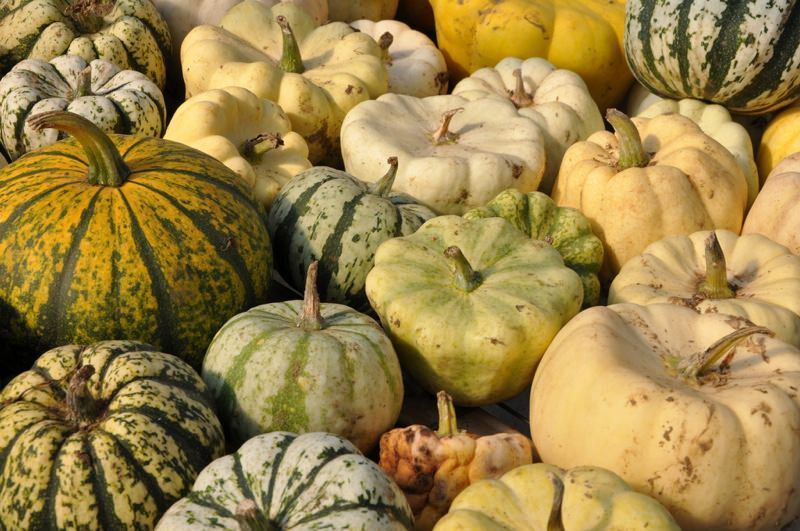 Squash is native to North America, and pumpkin and other varieties of winter squash (hubbard, acorn, butternut) were almost certainly on the menu given their importance to the Wampanoag tribes at that time. Squash was typically boiled or roasted. Pies were not on the menu; historians guess that the Pilgrims’ supplies of butter, flour, and sugar were probably long gone by the fall of 1621. Local fruits and vegetables. 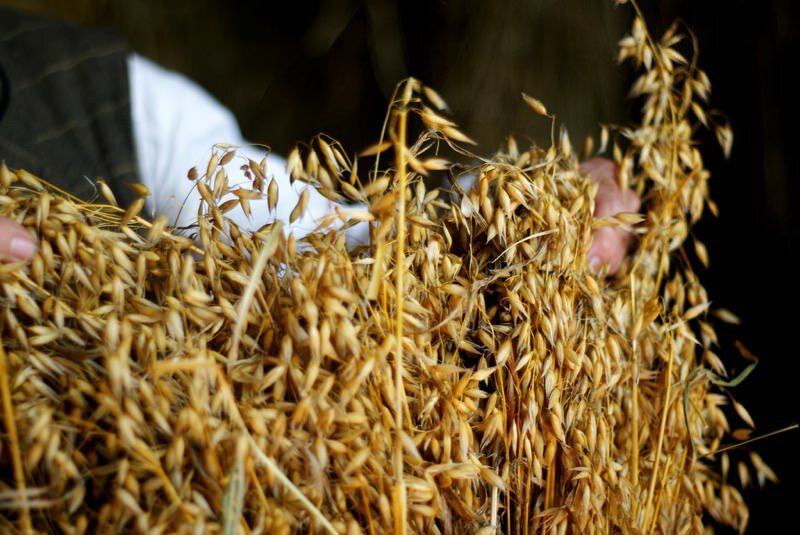 It’s easy to forget that so many of the crops we take for granted now would have been brand-new to the Pilgrims, but historians assume at least some would have made it to the table. 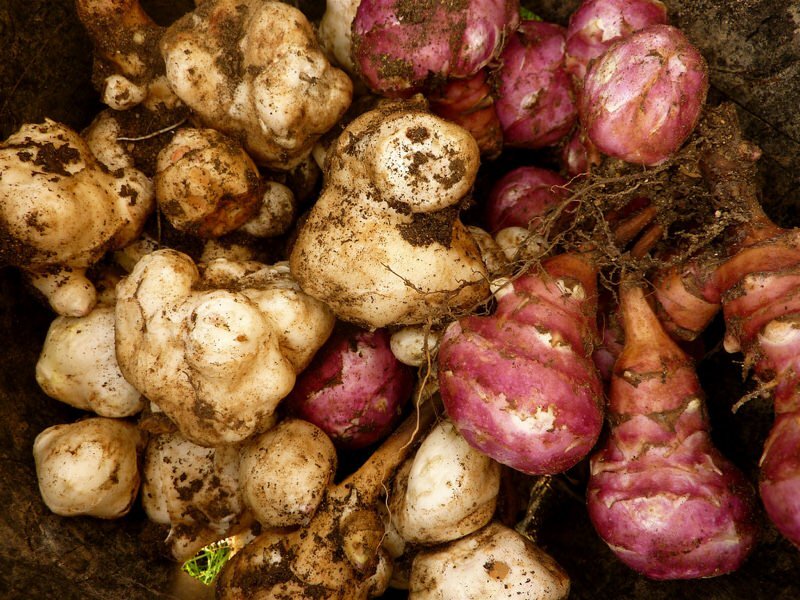 Jerusalem artichokes (sometimes known as sunchokes), the root of the sunflower plant, are likely to have made an appearance. Same with a selection of beans, which probably included modern varieties like kidney and pinto. Beans were typically boiled in stews – the Wampanoag word for stew is sobaheg – and thickened with ground nuts like chestnut. As for fruits, historians aren’t really sure. Blueberries, raspberries, gooseberries, and plums were commonly eaten at the time, sometimes dried and sometimes fresh, but they don’t appear specifically in either of the accounts of the first Thanksgiving. Same thing with cranberries – it was likely decades before people began boiling them with sugar to make the sauce we’re used to today. English imports. It’s unlikely that any of the crops planted by the British settlers were providing much of anything in 1621; apples, for example, are not native to North America and wouldn’t bear fruit for at least ten years (and that’s a very optimistic guess). Further, the Pilgrims brought basically nothing that would last the full first year from their landing until the autumn of 1621; a list of the Mayflower’s provisions yields little that might have been present at the feast. Some hard cheese, maybe, or oats, or vinegar. Though it’s not likely that the remaining supplies would have been enough to feed the 50 Pilgrims and 90 Wampanoag who attended the first feast.